Enjoy the waters of Southwest Florida: Captiva, Pine Island Sound, Useppa, Boca Grande and Pine Island Sound. Book your fishing charter, sightseeing charters or water taxis direct by contacting any of the Captains listed below. For more information about them, please follow their web links or call them at your convenience. 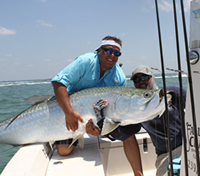 Light Tackle Back Country Fishing for Snook, Redfish, Trout, as well as Tarpon fishing the world famous Boca Grande Pass. Half, 3/4 and Full Day Trips Available. Customized family trips, Fishing Tournaments and Night Fishing Trips. 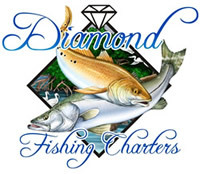 Offering 1/2, 3/4 and full day fishing charters. 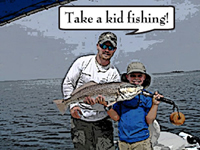 Bring the kids and join this native guide for a memorable fishing excursion battling tarpon, redfish, snook, trout, sharks and more! Also available for private shelling, dinner and sunset cruises. 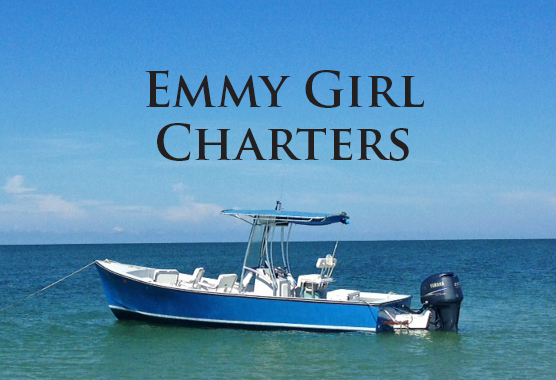 Fishing charters in Pine Island Sound and surrounding waters for Snook, Redfish, Tarpon, Trout, Cobia, Permit, Grouper, Snapper, Sharks and more. 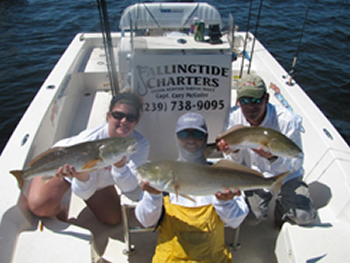 Speciaizing in light tackle flats trips and near shore Gulf fishing. tag for your vehicle and pay for parking at the Ship's store office. All unassigned vehicles are subject to towing.